The way your app looks, the way it functions, and the platform that you launch it on, play a critical role in the app experience you are extending to the users. The customers today are demanding & impatient, which means you have to offer the best! Have you decided which platform would be better for your app? App users today have high expectations. If the app experience is dissatisfactory, the users would abandon your app for its competitors. One of the most important aspects that help a customer like or dislike a mobile app is its user interface. The customers do not have patience or time for a shoddy looking app. Whether it is the icon, app screenshots, the landing page, or a preview video, everything should be designed to appeal to the target user. Second, it must hook your customers from the word GO! To develop your own app UI you need to get appropriate training and practice under credible guidance. If you can’t do that, approach the industry experts to create an app that matches your requirements and delights the users. Choice of platform is critical to the future success of your mobile app. In fact, you must decide which platform you want to build your app for even before you begin the actual development work. There is no ‘correct’ choice here to this and answers would vary from app to app. 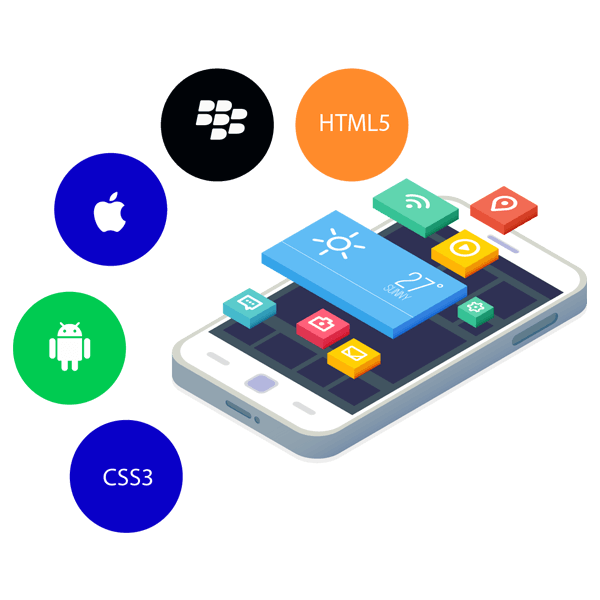 The best option would be to develop an app that is cross platform and cross device, thus extending a seamless and uniform user experience. If you thought the only choices you had were Apple App Store and Google Play Store, we have something here for you! You can download a list of alternative app stores right here! It is natural to rely on the opinion of trusted ones. The real users’ opinion factors heavily in the decision of a user to download your app. So, you must make sure that the app is bug free, but also encourage app users to leave some positive reviews. Have you given this matter a thought yet? Your app must be free of bugs and crashes, but to get high rankings on app stores, you’ve got to do something more! Monitor your ratings on different app stores or other platforms. Make sure that you know everything your customers say about it. This would tell you what is working, and what is not! Customer feedback is instrumental. You must not only address their concerns, but also respond to them in a timely and satisfactory manner. When the consumer feels heard, they would be inclined to give you a higher rating helping you rank higher, and eventually getting a higher number of installs. The evolved consumer is not interested in an app that doesn’t pay attention to the experience they have. When you have an engaged audience, you can go for in-app referrals. This strategy can radically boost up your app downloads when done right. The human tendency to trust the opinion of real users who they know personally can play a big role here. Identify an appealing incentive for the existing users and offer it in exchange for a referral or a social media share. The best way to do this is by opting for a plug-and-play approach with an agency who would do this flawlessly and quickly while customizing it for you. One more way to get positive trust value is applying for all the relevant awards that you are eligible for. When you win awards, you get media attention, further legitimizing you in the eyes of the prospects. If no one knows about your app, no matter how good it is and how big of a difference it can bring to your lives, the app is not going to work! Get the word out, let people know, promote your app! It is important to formulate a strong marketing strategy for your app. What’s yours? The bloggers or influencers are one of the fastest emerging media channels that have a huge reach! Reach out to the relevant bloggers and encourage them to write about your app. However, to really up your game, design a complete press kit for your app including the app icon, screenshots, a preview video, and a succinct company profile with relevant links. Use this kit and tell a story about your app, and add a personal touch by referring to or quoting previous works. Give them exclusivity by offering them fresh content first! Encourage them to share your app or give it a shout out on their channel. You can also become a regular on forums like Quora or Reddit, and use them as a platform to share stories and details about your app. 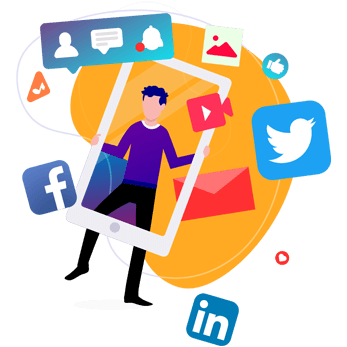 Let you stay in touch with the users, respond to them timely, and resolve any possible query Now, I know you might be intimidated with the thought of coding and all the time that you might have to invest in integrating the social media feature in your app, but DIY app builders like appypie.com can help you do this in a jiffy. Join popular Facebook groups that let you share and receive relevant content for your app while letting you publicize it and gauging your competition. Make sure that you include in-app share intent in the process. Attract users by giving them only those options that they prefer. If you stuff too many options in there, you might overwhelm them. Establish your authority in the relevant industry while promoting your app. Deliver talks, share your knowledge, and experience on every possible forum, whether it is a blog, a social media platform, or a traditional media channel. You should also localize your app for reviewers in other languages (if it makes sense for you). Define your USPs and highlight what sets you apart from the rest – this is your edge (promote it). If you are at a loss about which groups to join, who to approach for an app review, where to find the right app marketing agencies, or the different award sites in context of your app, your search ends here! Download the entire list right here! If you do not offer value to the app users with a structured and unique content strategy, you are not going to be able to hold the interest of your app users. Treat Content like the King it is, and you would see app users beelining for your app and keep coming back for more! You must have often heard the expression “Content is King” and it is especially true today. Most of the modern businesses are realizing the value that good quality content can bring to them. Also, many are adding a microsite to an already strong blogger outreach program. When these strategies are combined together, they can help you create quality content which in turn lends a strong word of mouth for your app. 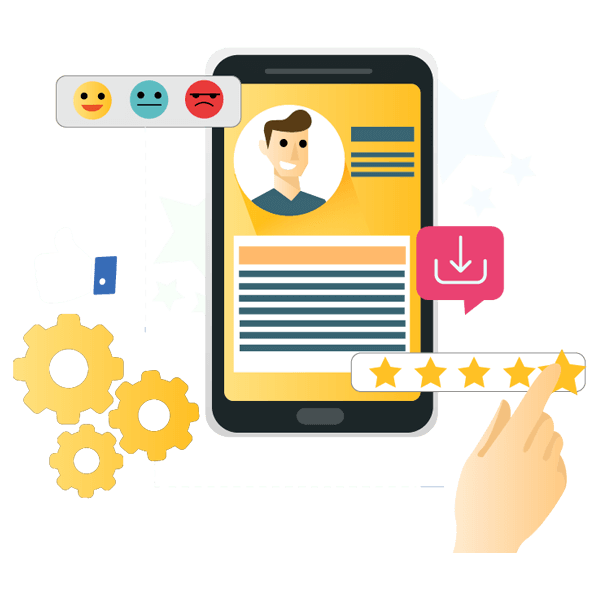 Having quality content at your disposal can help you make use of the blogs, the microsite, third party reviews and more to build a positive buzz and get your app out there while giving it a favorable exposure. While generating this content remember that, though English may be one of the most widely spoken languages, there are many countries that do not speak the language. 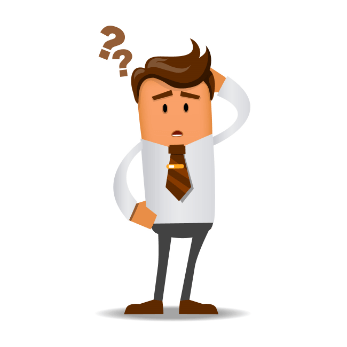 If you are offering content that is only in English, you are losing out on a huge chunk of the audience. Localizing your app and offering content in multiple languages makes your app relevant to non-English speaking audience which means that the number of your app installs would definitely go up as well! Markets like the European Union and Asia would open up for you and hand you a lucrative consumer base. Who doesn’t like a good deal or a discount, especially a contest! They let you promote your app and catch the attention of prospects! Leverage the natural affinity of the app users towards getting something extra and encourage them to download your app. What special treats have you got in store for your app users? If you have monetized your app (especially if yours is a paid app), you need to make it worth the while of your app users. One great way to do this is to offer your users discounts and deals according to the timing or the life stage of the app e.g. an early bird offer, or a holiday discount! 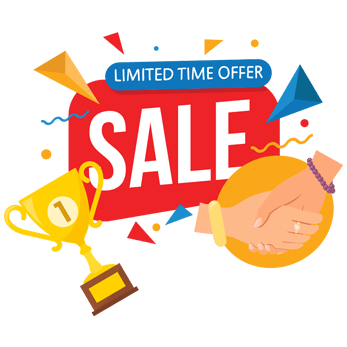 Adding a coupon to your app goes a long way in generating interest among your customers and even helps you promote it. You can take a look at this video tutorial that’ll let you unleash the power of a coupon. 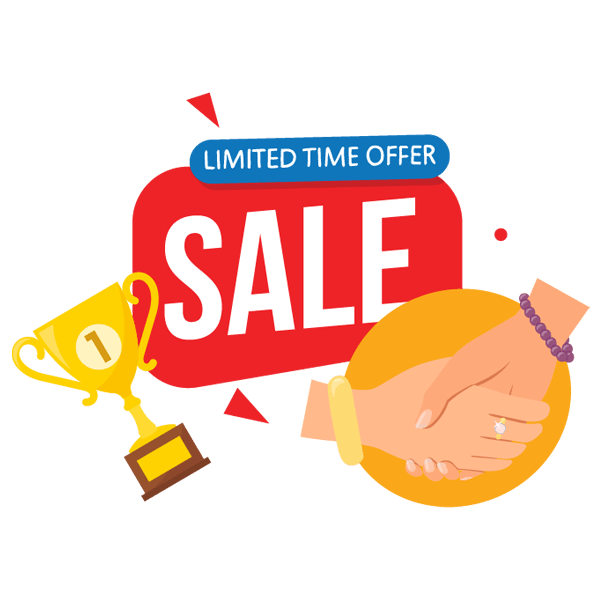 Any kind of sale or discount you put up would definitely grab the attention of your prospective consumers if they are considering buying your app (especially). We are competitive by nature and are naturally drawn to contests. Any possibility of getting an award or recognition is bound to pique our interest. Running contests is a time-tested strategy in the app marketing world which has proven to be quite effective. 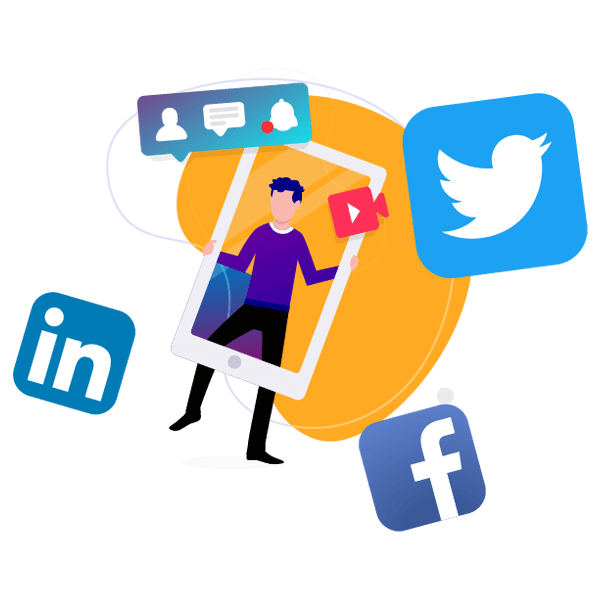 Encourage your app users or prospects to share your content, tweet it, or pin it on the popular social media channels by offering a reward through a contest! The whole process would eventually help you spread the word about your app and promote it across a number of social media channels. When you are promoting your app, it is natural to get carried away, but remember that the bloggers and your real users all lead a busy life and repetitive intrusions may not be appreciated. Do your groundwork and determine who you should reach out to, before you go cantering into their emails, social media accounts, or start cold calling (who does that anymore though!). How did you find the last app you installed on your device? You probably searched for it by typing in some keywords, right? This is what most of your targeted users do too! If your app ranks high on the app stores, you are going to enjoy more visibility! How do you plan to get your app noticed? This is something that I simply can’t stress enough upon! A well-designed App Store Optimization strategy can be the difference between you achieving your app install goals and failing to get there. Today, the most popular way to find an app is by searching for it on the app store. Hence, it is important that you optimize the app so that it shows up in the app store search. responding to negative feedback on the app store, among many such other actions. Pay attention to, and design an intelligent ASO strategy, to get higher downloads. Getting your ASO game just right in the first go might be a challenge and it might make more sense to hire some experts. Here, we have a list of App Store Optimization services, just for you! Users hesitate more when there is a price tag attached to the app you are offering them than when you offer it for free! This doesn’t mean you have to turn your app into a charitable project! You might earn more, if your app was free! Have you put a monetization strategy in place for your app? Even if your primary goal of building an app is to make money with it, you must consider giving it up for free. The final decision though depends largely on the platform that you choose to release your app on. It is a fact that the free apps get higher downloads even when compared to the ones that are minimally priced. However, when I am recommending that you offer your app for free, I do not mean for your app to become a charity project! You have invested time, money, & other resources in building your app, and you must earn money with it. As you begin offering your app for free, you would see a considerable spike in your app downloads immediately. Once some time has passed, the rate of downloads is going to slow down before flatlining eventually. After people have downloaded your app for free and have started using it, there would come a time when they would start looking for more. At this time, offer some advanced features or services within the app against an in-app purchase. Doing this would not only bring in a handsome revenue from your app (which is the intent after all), but also give you another spike in the app downloads! A unique technique that can get you a big spike in the number of app downloads, gets you great results. Burst campaigns have proven to be a great technique, especially in the initial stages where the number of app downloads you have is more critical than their quality. DO you know what a mobile app burst campaign is? This essentially involves providing aggressive exposure to your app in a short time with the major intent of expanding the audience. The burst campaigns are almost too good to be true! Here, you aggressively buy a huge amount of paid media exposure for your app over a short period of time, typically between 24 to 72 hours depending on your budget. Generally, this ‘burst’ results in a massive number of paid installs. The initial paid installs might be questionable, but as your app ranking improves and the app becomes discoverable organically, the subsequent downloads improve in volume and in quality. 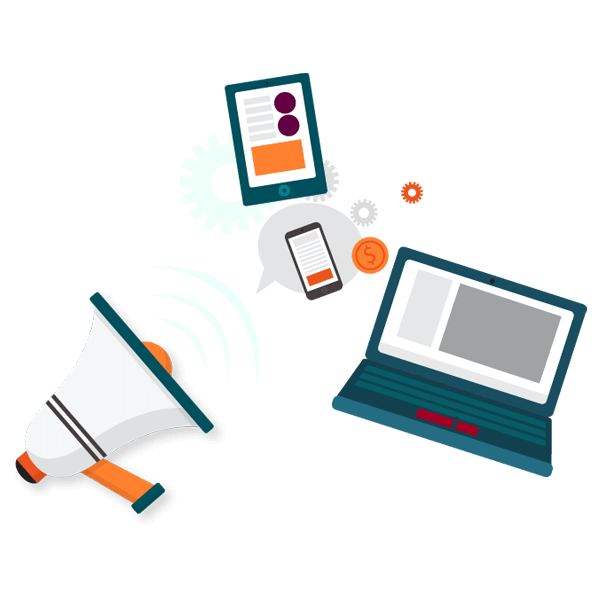 I must confess that Burst campaigns aren’t really a new concept, but it certainly has evolved to match the changes in the mobile apps ecosystem. The market is really competitive today, and the ranking algorithms change intermittently. Naturally there has been a remarkable change in the nature of the burst campaigns as well. The best way to implement a strong mobile app burst campaign is to purchase a huge chunk of contextual and available media inventory which, during the campaign would be at a larger volume and higher frequency than any app in your competition. During the campaign, the quality of downloads isn’t of that big a significance, it is the numbers that matter (at the time). Here’s a really helpful video that’ll help you grab the concept better and start using it to increase your app installs. If you are having a tough time finding the right kind of app promotion ad networks, here is a list of some of the good ones, just for you! Here’s something a little extra, just for you! A BONUS video from Abs, our Founder, CEO that has all the tips and tricks that Appy Pie implemented to reach the coveted one million mark! Now these tips are all great, if you have built your app already! However, if you are still on the fence about building an app on your own, it’s time to cross over! Go ahead! Have fun building your very own app with Appy Pie and Get Started on your way of getting your first million app downloads soon! While there are many quick hacks and tips available for a new app developer, leave it to the masters and educators to help you understand and build up your app in legitimate, interesting ways. Reaching the coveted 1-million mark is the holy grail of app developers and while it is a daunting number, it is not entirely unrealistic. There is a need for guidance, choosing the right tools and maintaining patience and you might not be far behind the 1-million mark! We made it, so can you! A cross-platform app is a mobile app that is compatible with multiple mobile operating systems, such as Android, iOS, Windows, BlackBerry, etc. In-app sharing is a proven method of growing your mobile app. It not only enhances the sharing experience, but also adds credibility, helping you increase your audience reach globally. 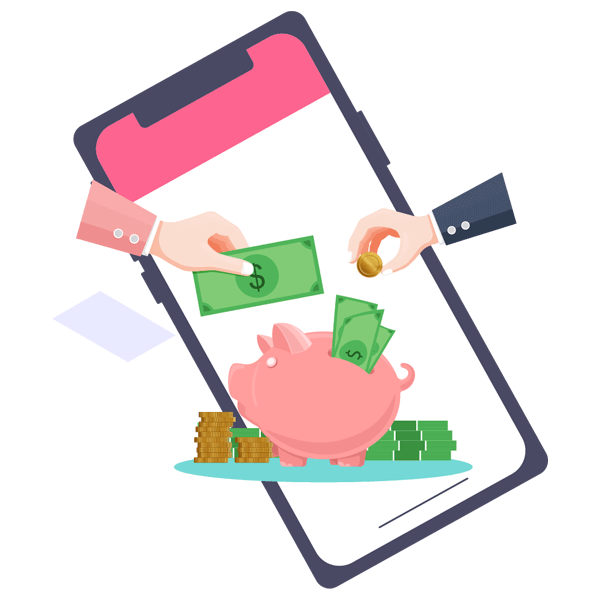 A widely popular app monetization techniques, in-app purchase allows app users to purchase goods and services from within the mobile app using their smartphones. One of the most effective marketing activities, in-app referral program provides easily measurable results in expanding user base and increasing the percentage of active and loyal app users. 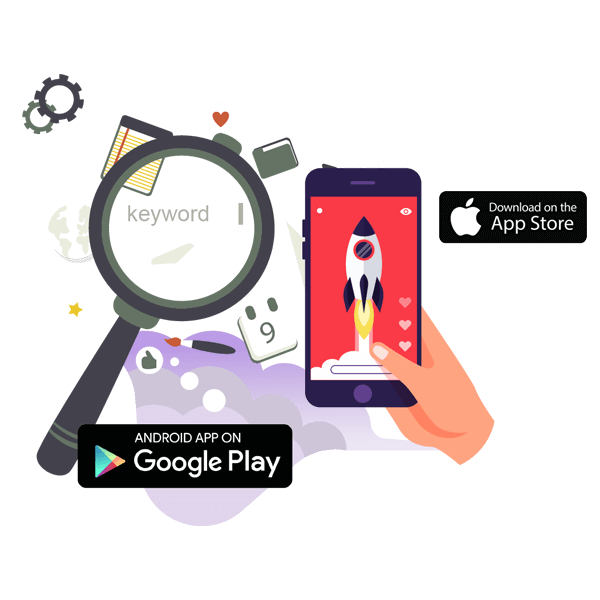 App Store Optimization (ASO) is the process of optimizing your mobile app as per the app stores ranking criteria so that it ranks higher in search results and is more visible to your customers. 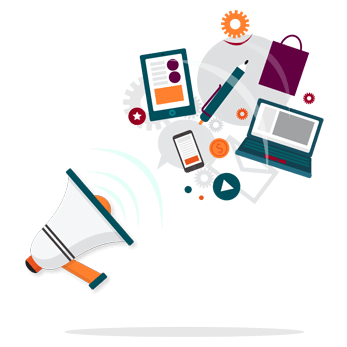 Burst campaigns are advertising campaigns targeted to drive your mobile app to the top of the app stores so that it becomes easily accessible and discoverable. The Content Manager at Appy Pie, Snigdha has had a passion for writing since she can remember and feels lucky for making it her career. 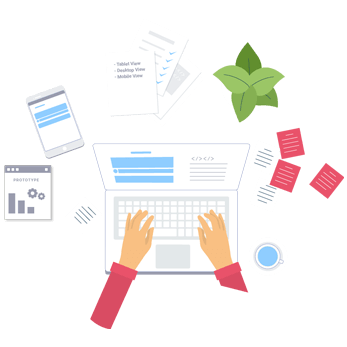 With a total experience of 11 years, she has dedicated the last 6 years to hard-core content writing and management. She actively writes about all things related to Social Media & more. In her spare time, she would either love to read curled up on the couch or take a bag of necessities (including a good book) and drive off into the sunset. Nice Article Thanks for Information and Tips.. Merry Xmas. Great tips, thanks for the tips. Helpful tips. Thanks for the information.